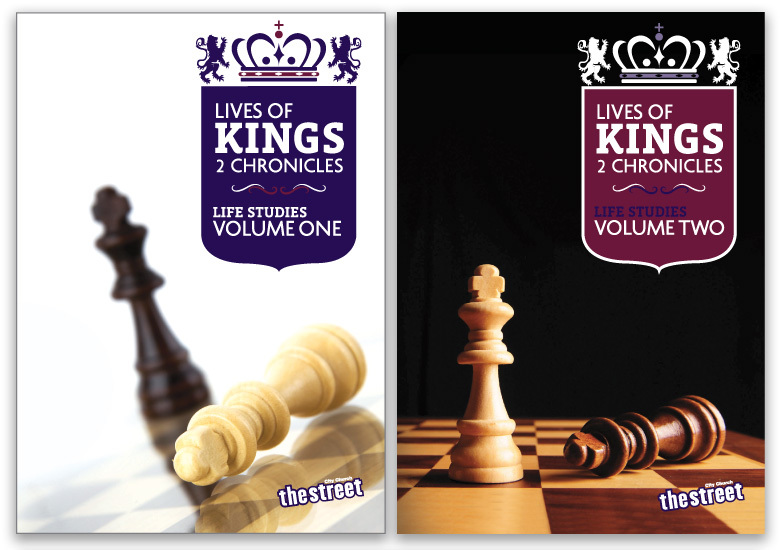 The Street City Church devised a series, called ‘Lives of Kings’, based on the biblical book of 2 Chronicles. The whole church studied this topic through a series of sermons, in small group studies and in individual readings. All church members were encouraged to study and learn together. 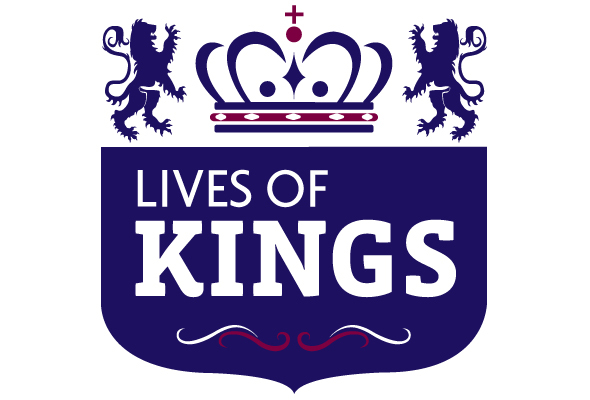 Within this brief an identifying logotype needed to be considered which could be utilized across all “kings” material. This would then be able to be a strong identifying point for all material. Following this, two booklets were produced for members to purchase. The series was divided into two, one with light imagery and one with dark imagery. 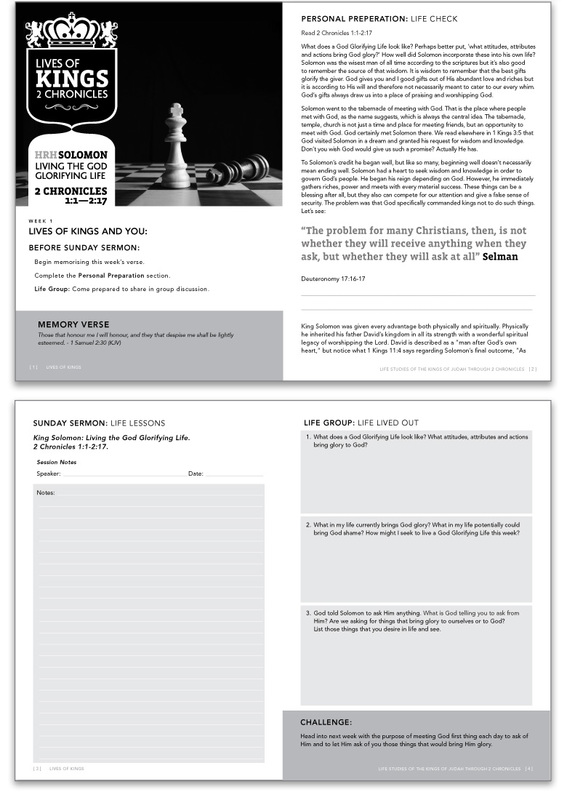 The concept of a toppled chess king reflected the content of the biblical material. This was then run into powerpoint templates to accompany the sermons.